Photo: Dylan Fitzgerald. Creative Commons BY-NC-SA (cropped). Renewable energy will make up almost half of sub-Saharan Africa’s power generation growth by 2040, according to a report by the International Energy Agency. The report, which is the IEA’s first major analysis of sub-Saharan Africa, looked at the region’s potential to supply energy to the approximately 620 million people who still lack access to electricity. Sub-Saharan Africa’s economy has been growing rapidly since 2000, the report notes, but the fact that two-thirds of the region’s population lacks access to electricity is stymieing that growth. 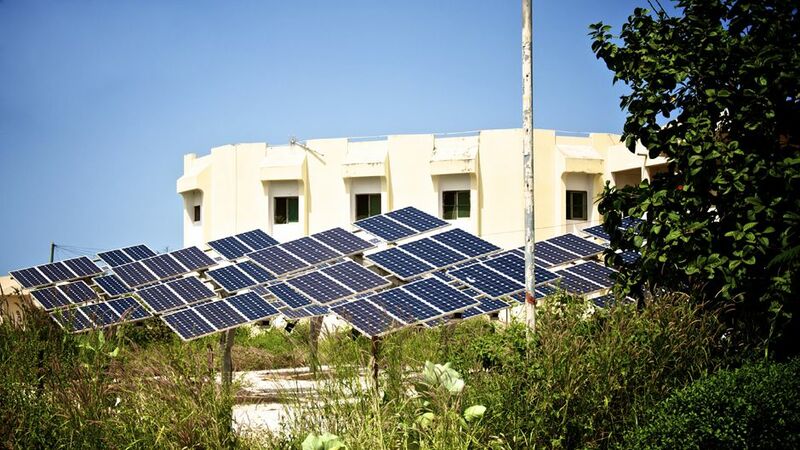 The report predicts that, over the next 26 years, sub-Saharan Africa will start to unlock its “vast renewable energy resources” and that solar energy will lead the growth in renewables in the region. According to the report, just 10 percent of sub-Saharan’s hydropower potential is currently being exploited. In addition, much of Africa has “excellent solar” potential, and coastal regions hold potential for wind energy. The report also noted actions that could further contribute to Africa’s growing energy economy. These include a $450 billion investment in the region’s power sector, more cooperation in the region on energy projects, as well as better resource and energy-based revenue management. If all three of these suggestions are taken seriously by investors and by African governments, the region’s economy could be boosted by an additional 30 percent in 2040. Africa as a whole, predictions say, will add about 1.8 gigawatts of renewable energy capacity in 2014 — more renewable energy than the continent added in the last 14 years combined. Though the report notes that Africa hasn’t yet taken full advantage of its renewable energy resources, the continent has worked to increase renewable energy capacity in recent years. According to research firm Bloomberg New Energy Finance, it is predicted that Africa as a whole will add about 1.8 gigawatts of renewable energy capacity in 2014 — an addition that amounts to more renewable energy than the continent added in the last 14 years combined. Additionally, over the next two years, South Africa is expected to install 3.9 gigawatts of renewable energy, mostly in the form of wind and solar, while Kenya is set to install 1.4 gigawatts and Ethiopia will install almost 570 megawatts. The IEA’s report isn’t the first to note Africa’s major renewable energy potential, either. In 2008, a World Bank report said that sub-Saharan Africa had “huge technical potential for clean energy projects,” and this year, information company IHS singled out South Africa as the “world’s most attractive emerging country for solar energy.” South Africa also has wind potential, especially along its coasts, and its successes in securing investors and donors for its renewable energy projects make it a model for other African countries.